Our 8-Week Mini Session is Back! 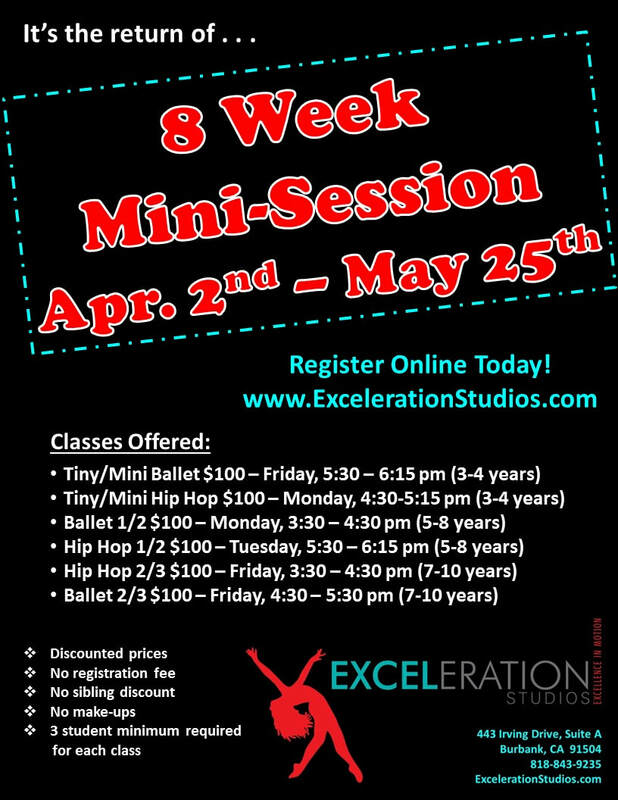 Our 8-Week Mini Session is perfect for anyone who wants to try a class and check out our studio. It is also great if you are already a student and want to add another class - maybe check out a new style of dance. Mini Session classes will not participate in our Annual Recital.